Water, food, and air, these are the most basic requirements for life to exist and to be sustained. However, when you live in an arid or semi-arid area your access to water can be limited and this only becomes more complicated when you, as a farmer, rely upon mother nature to sustain your crops with precipitation. First place winners of the 2016 commitment award seek to address this issue facing the farmers in the rural village of Shybran, located in Southern Kyrgyzstan. “We will not move anywhere as this is the land of our ancestors” said one of the farmers of Shybran village during the research in October 2014. Later Zamir (the farmer’s name) added “Without water it is impossible for a plant, an animal and a person to survive; therefore we want to learn new methods for water management and live on the land of our ancestors”. The group consisting of three individuals, Daniar Matikanov, Batrybek Alymkuov and Aiperi Otunchieva have decided to tackle this issue and to provide this rural community with the knowledge and know-how in order to increase their ability to conserve water and increase their storage capabilities. 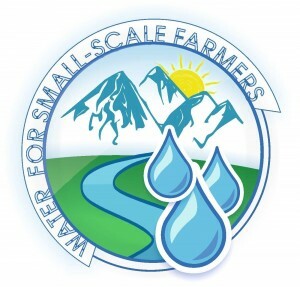 With the help of our initiative “Water for Small-scale Farmers” we present practical solutions for efficient storage and use of water in dry areas like the south Kyrgyzstan. Our project supports capacity building activities which include practical training and construction of rainwater harvesting structures. We expect that the locals will profit from this activities as agriculture is the primary source of livelihood there.